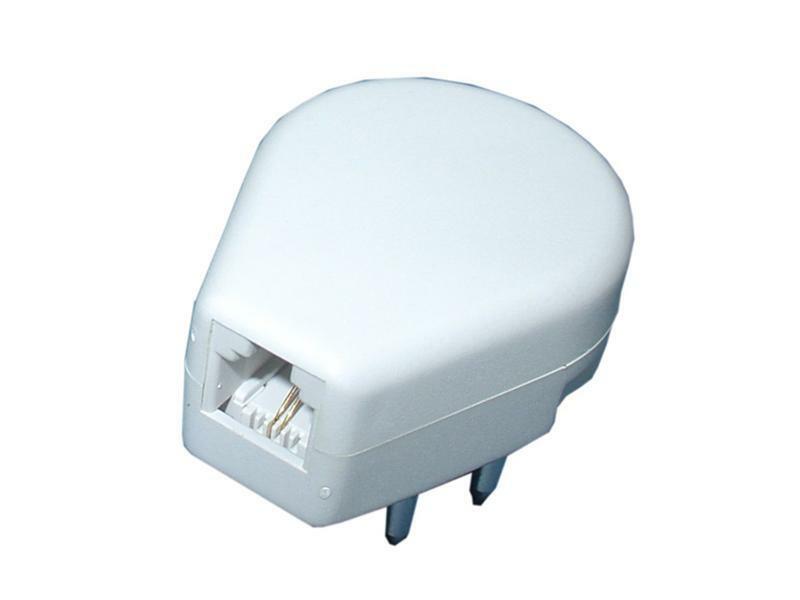 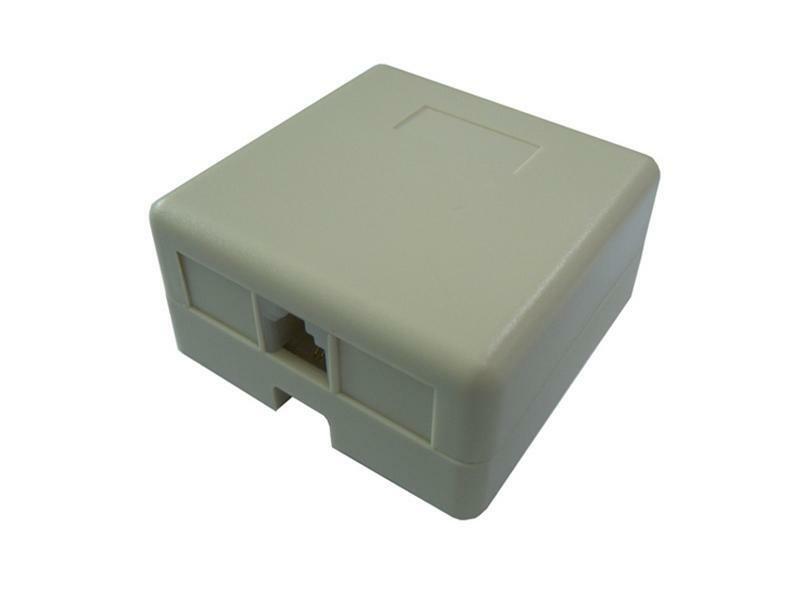 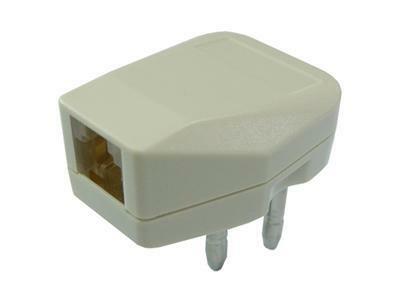 The telephone socket adapter splitter, switching the Netherlands telecoms plug to the US (RJ11/RJ12) receptacle, hence adapts to the communication connections of phones, fax machines and other Network terminal equipment. 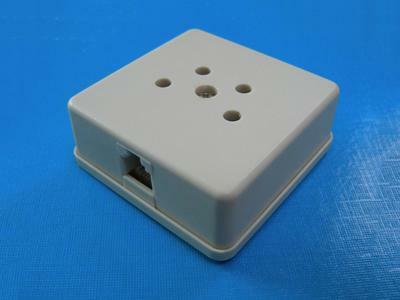 A telephone junction box, used in connecting the arranged communication wires to the US (RJ11/RJ12) sockets for convenience of communication connection of phones, fax machines or communication terminal equipment. 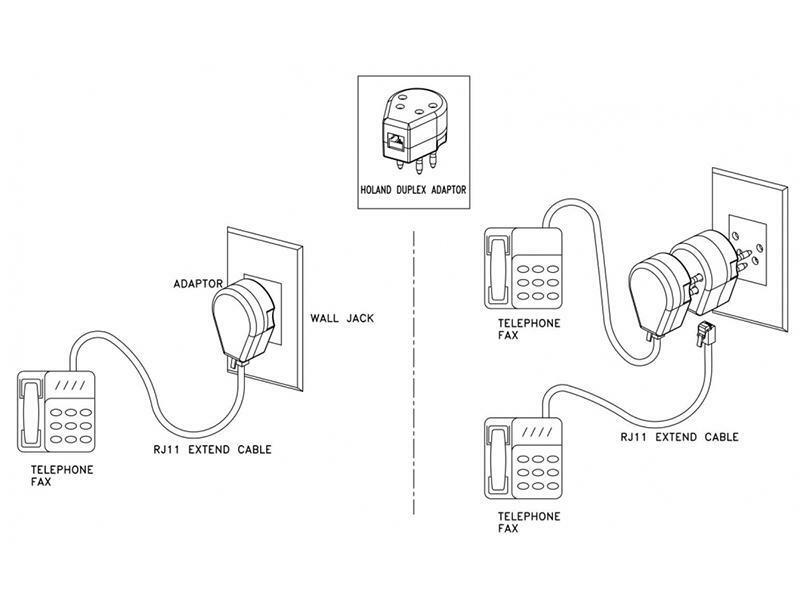 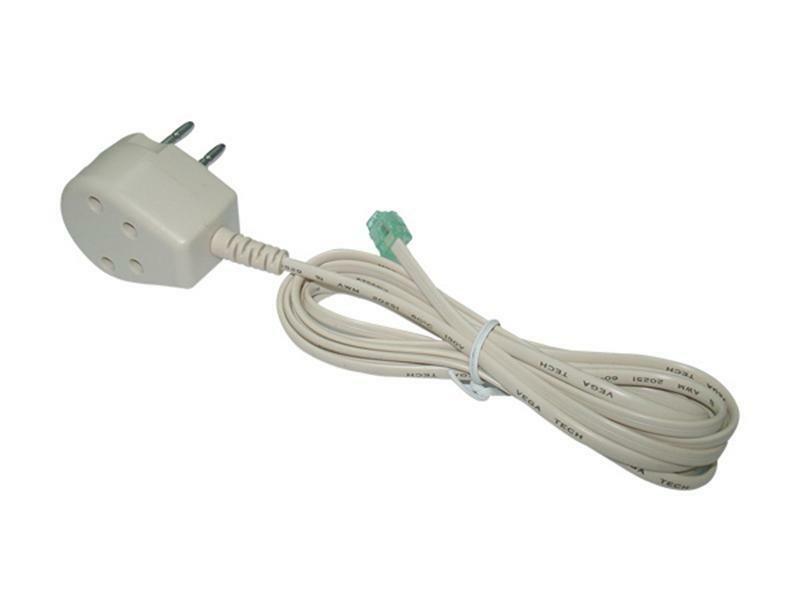 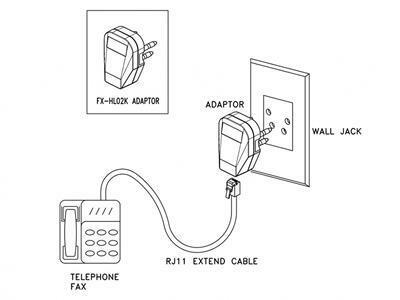 * Plug the RJ11 extension cord into the RJ11 female jack of the splitter adapter and connect the other end to a telephone or fax machine. 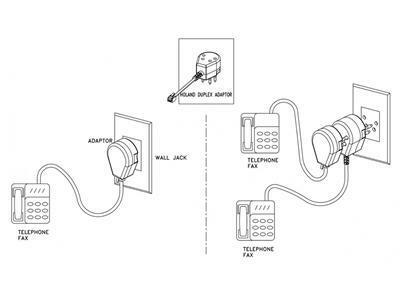 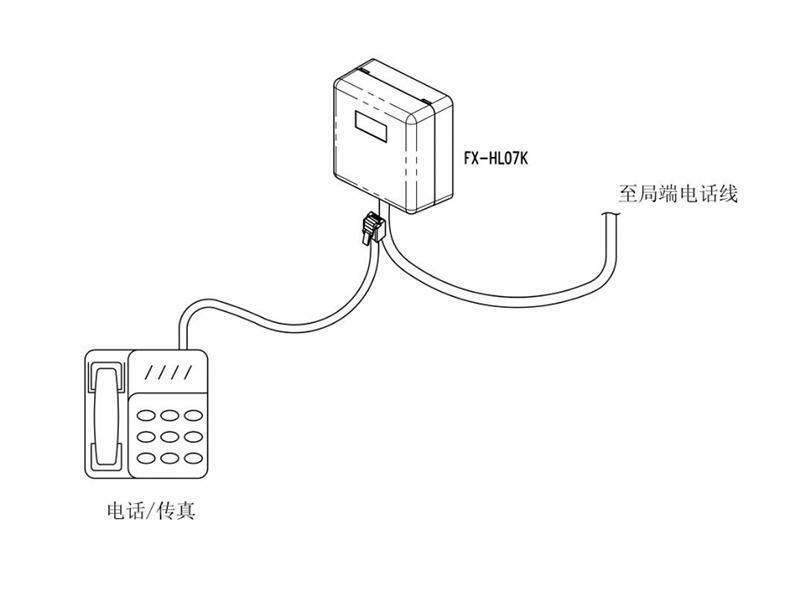 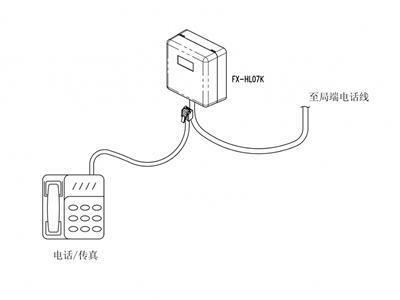 * Plug the corresponding extension cord into the native female socket of the telephone adapter and connect the other end to another telephone or fax machine. 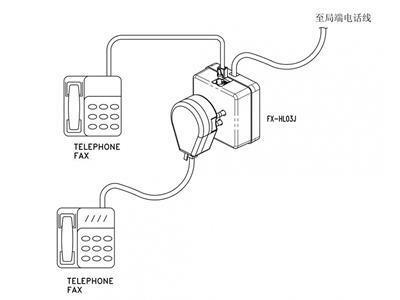 * Two telephones or fax machines can be used at the same time to adapt to the different interfaces. 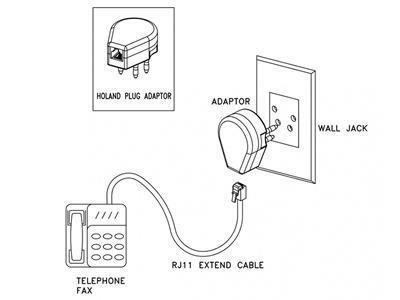 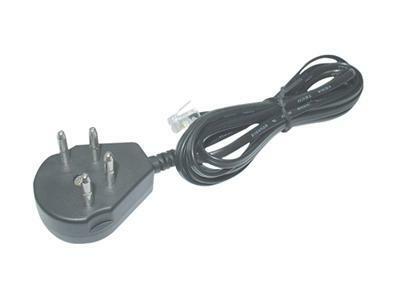 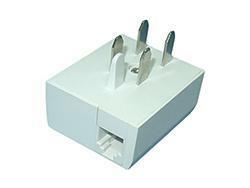 The telephone socket adapter, transforming the Netherlands plug to the US (RJ11/RJ12) socket, adapts to the connection of phones, fax machines and communication terminal equipment. 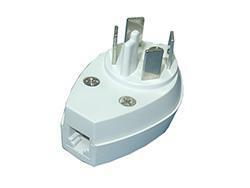 Meanwhile another Netherlands phone plug can also be inserted to the female jack of the adapter. 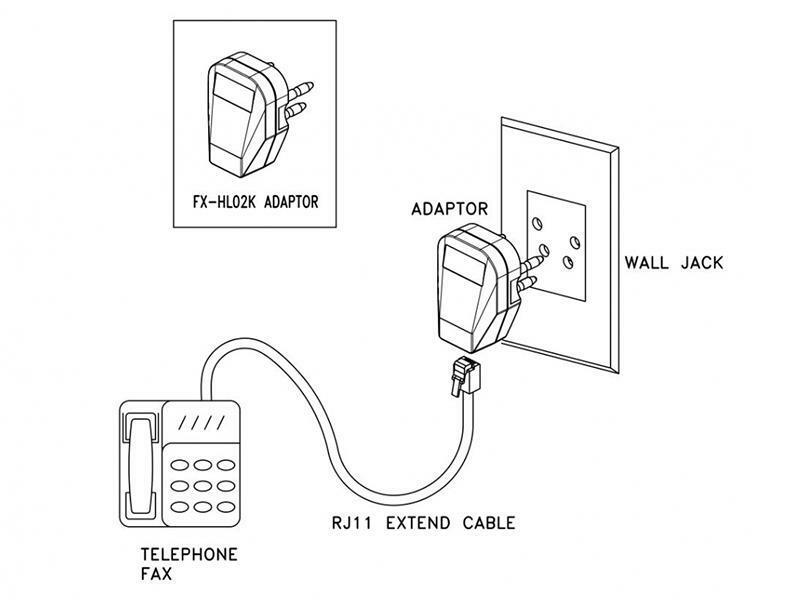 The wall mounted RJ11 Adapter, switching the Netherlands telecom plug to the US (RJ11/RJ12) plug, which can directly connect to phones, fax machines and data terminal equipment. Meanwhile another Netherlands phone plug can also be inserted to the female jack of the adapter. * Lock the telephone wire inside the junction box and then the signal is linked. 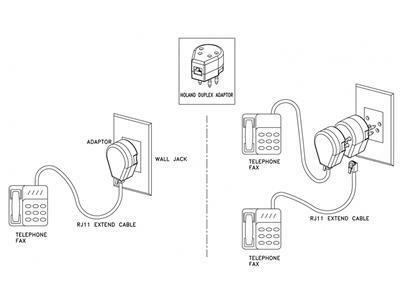 * Insert the Netherlands plugs to the corresponding sockets of the junction box to easily connect the telephones, fax machines and other communication equipment. 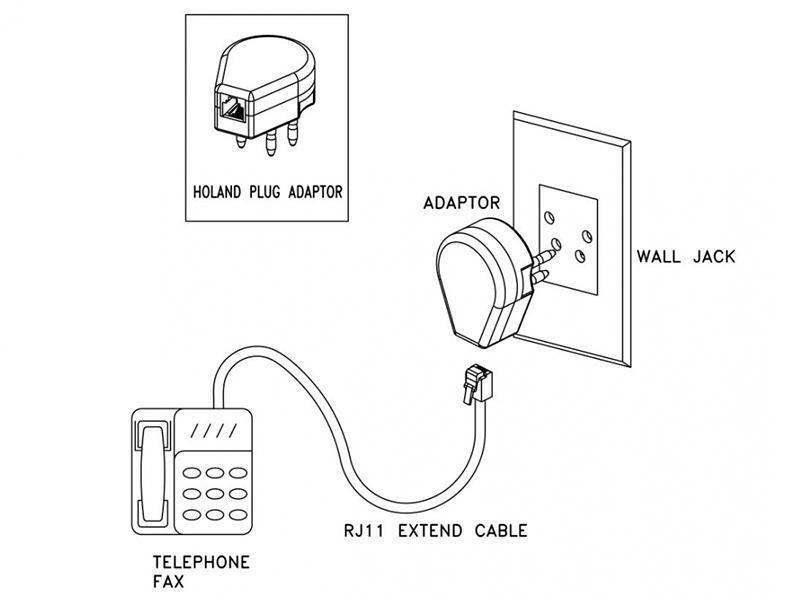 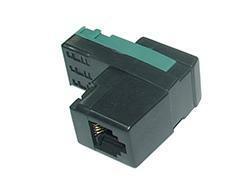 The RJ11 Adapter, switching the Netherlands telecom plug to the US (RJ11/RJ12) plug, which can directly connect to phones, fax machines and other communication terminal devices. 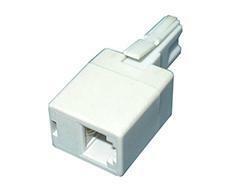 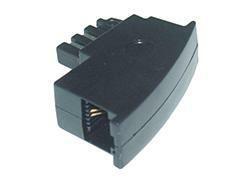 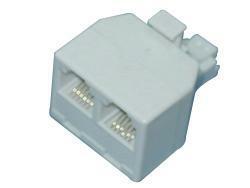 The RJ11 telephone Adapter, switching the Netherlands telecom plug to the US (RJ11/RJ12) plug, which can directly connect to phones, fax machines and other communication terminal devices. 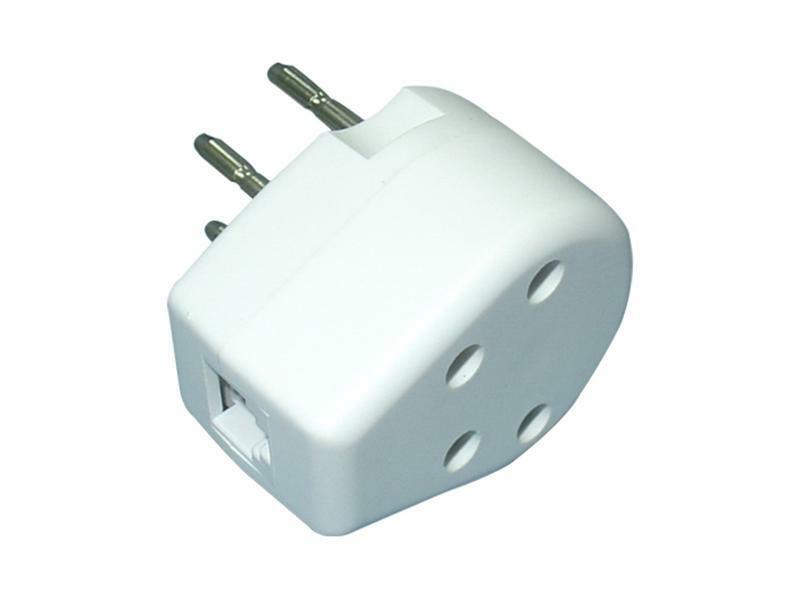 Meanwhile another Netherlands phone plug can also be inserted to the female jack of the adapter. 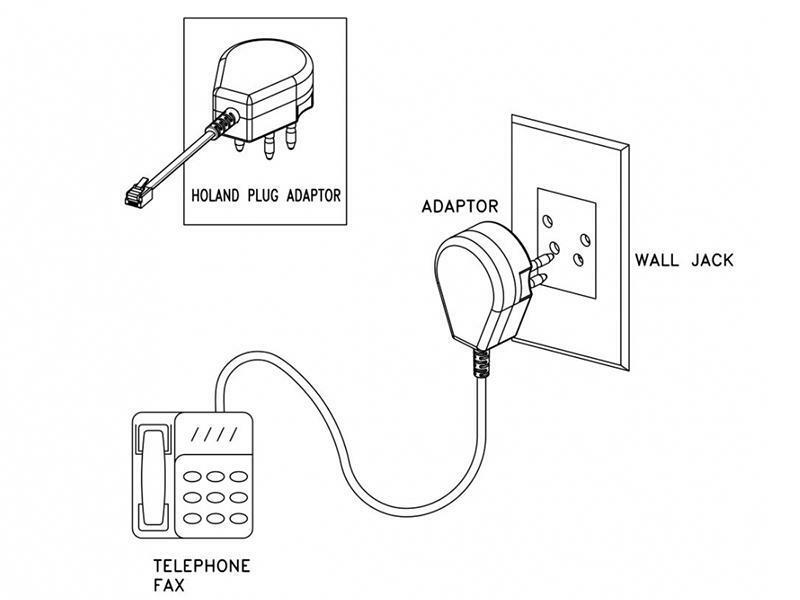 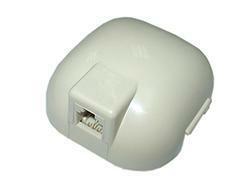 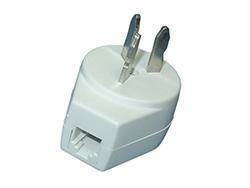 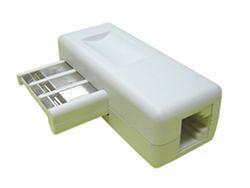 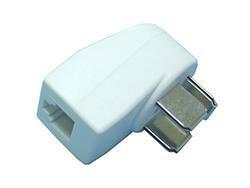 * Pull out your using Holland plug and put your duplex adaptor plug into telephone wall socket. 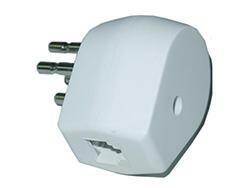 * Connect the Holland plug of the adaptor into the duplex adaptor socket. 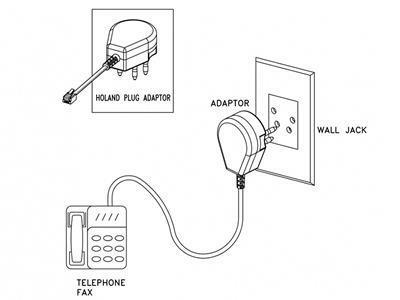 Connect your RJ11 plug into the telephone (or Fax machine) RJ11 socket. 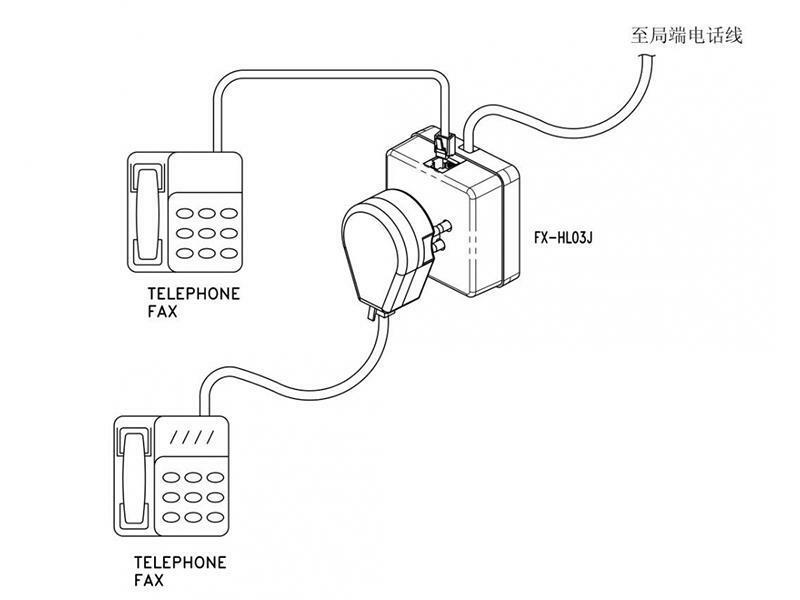 * Then you can use the 2 telephones (or Fax machines) at the same time.